Most businesses today rely heavily on the exchange of emails to plan and execute daily activities. Moreover, in many organizations email correspondence is the standard form of communication and facilitates inter-team coordination, thereby, enabling them to plan and execute business projects. To manage email traffic efficiently, many organizations opt for hosted email servers. A mail server receives and delivers emails from client servers. Among the many email server hosting services, Zimbra email server hosting is preferred by businesses worldwide due to the many advantages of using them. The blog discusses some of the benefits of using email servers. Read on to learn more. Sorting and deleting spam mails is a cumbersome and time taking task. To help your employees get rid of this problem, Zimbra email server hosting includes intelligent spam filters that enable them to get rid of unwanted mails without the user having to go through them. All you need to do is configure the spam filter settings to ensure suspicious mails don’t flood your inbox. Your business can be hit hard if you don’t have a backup plan and lose important email correspondence due to a system failure. To help address this issue, Zimbra email server hosting includes a backup feature that preserves your important business emails. Ensure that you discuss the feature with your provider and also enquire about the frequency and amount of backup they’d be offering before opting for a plan. 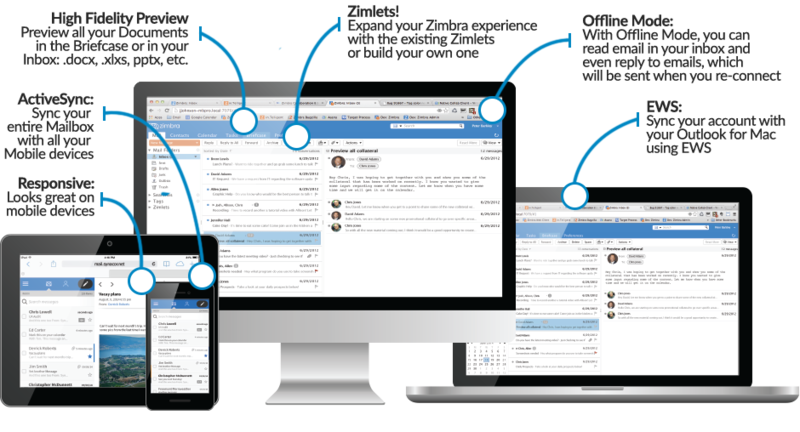 Zimbra email server hosting helps you store documents in your account, thereby enabling you manage them better. You can access these documents on the go from any part of the world. Additionally, you can search through these documents and classify them according to your needs. Opting for Zimbra email server hosting services can help your employees manage their mailboxes better, thereby enabling them to save time. Before you opt for a Zimbra email server hosting service, make sure that you discuss your business requirements with your provider and provide them information about your business objectives and goals to help them customise their services to suit your needs.